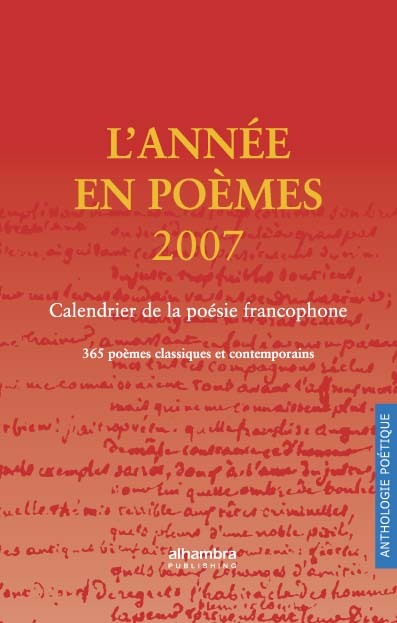 These stand-up desk calendars in English (Poetry Calendar 2007), French (L'année en poèmes 2007. 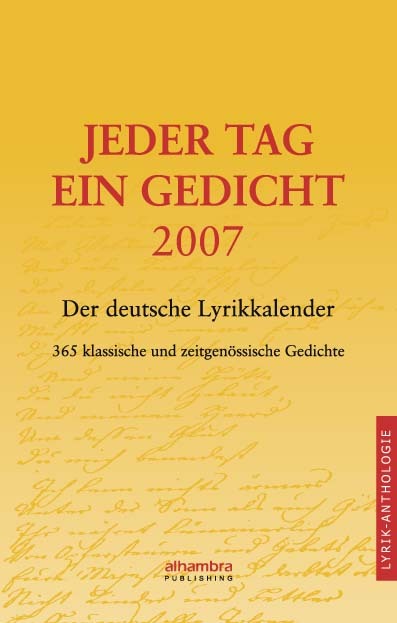 Calendrier de la poésie francophone), and German (Jeder Tag ein Gedicht 2007. Der deutsche Lyrikkalender.) 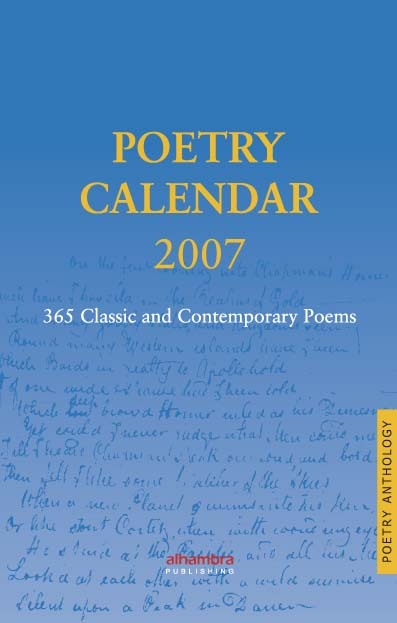 contain 365 poems each by 330, 290, and 270 poets respectively. There is also an index by author/poem. Poetry from different eras and poetry movements is included. Contemporary poetry is also well represented. The calendars are bound in a spiral so there is no need to tear off pages and they can be used later as a book.